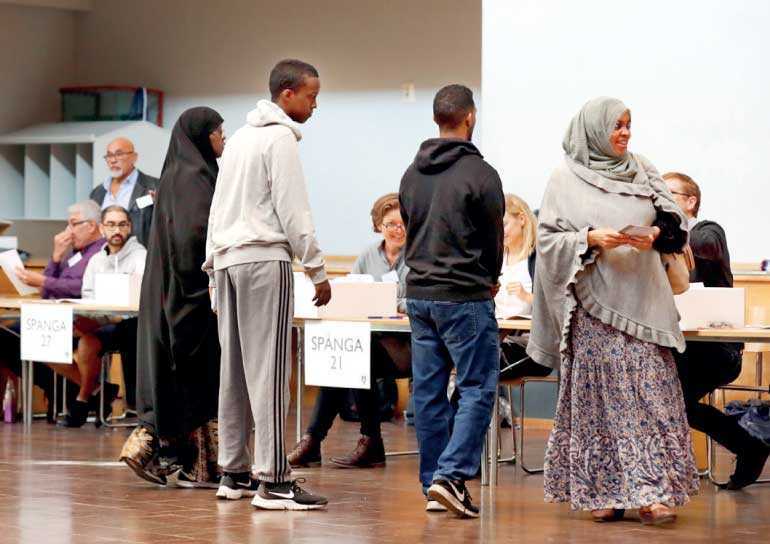 STOCKHOLM (Reuters) - Swedes began voting on Sunday morning in an election dominated by fears over asylum and welfare, with the anti-immigration Sweden Democrats vying to become the biggest party in a country long seen as a bastion of economic stability and liberal values. Far-right parties have made spectacular gains throughout Europe in recent years after a refugee crisis sparked by civil war in Syria and continuing conflicts in Afghanistan and parts of Africa. In Sweden, the influx of 163,000 asylum seekers in 2015 has polarised voters, fractured the cosy political consensus and could give the Sweden Democrats, a party with roots in the neo-Nazi fringe, a veto over which parties form the next government. “Traditional parties have failed to respond to the sense of discontent that exists,” said Magnus Blomgren, a social scientist at Umea University. The centre-left bloc, uniting the minority governing Social Democrat and Green parties with the Left Party, is backed by about 40% of voters, recent opinion polls indicate, with a slim lead over the centre-right Alliance bloc. The Sweden Democrats, who want the country to leave the European Union and put a freeze on immigration, have about 17%, up from the 13% they scored in the 2014 vote, opinion polls suggest. But their support was widely underestimated before the previous election and some online surveys give them as much as 25%, a result that would be likely to make them the biggest party, dethroning the Social Democrats for the first time in a century. That could weaken the Swedish crown in the short term, but analysts do not see any long-term effect on markets from the election because economic growth is strong, government coffers are well stocked and there is broad agreement about the thrust of economic policy.